After going through the entries we have a winner. And it wasn't easy, because there has been more entries for this than any contest we've ever had. Honestly, I feel like Kuramon would be an awesome choice for a squishable. Imagine buying a ton of them, and squishing them all down inside a suitcase. Then you can recreate Diablomon Strikes Back where the Kuramon burst out of the internet en masse - large cycloptic blobs escaping from devices that don't look like they could possibly hold them. An avalanche of Kuramon was a fantastic choice, and seemed the right choice to be the winner. There was a ton of fantastic entries. A lot of people wanted Terriermon, a few thought up good reasons for Meicoomon, there were a lot of great choices that you might not have thought of like ExTyrannomon, and at least one person wanted Leviathan so they could, and I quote, "knock it around a little." Anyone else who entered is welcome to share their entries, and a bunch of entries are in the contest thread. Huge thanks to everyone for entering and to Squishable for providing the prize. 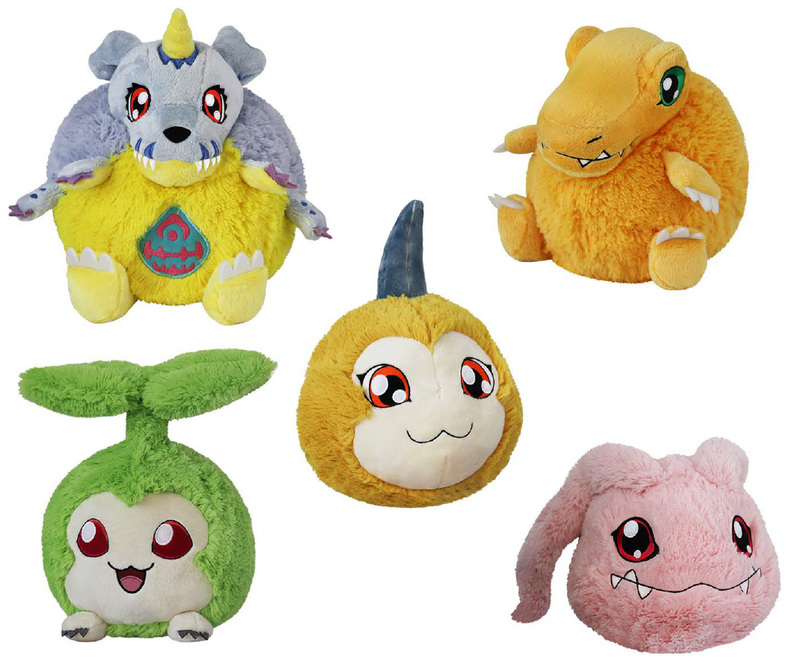 The Digimon Squishables are still available to order and we reviewed a few of them. @MarcFBR Really love how you really look at the entries!!! Whoops. I typed up a response in the topic before but either I got sidetracked and didn't post it or something went wrong with my computer/internet. Just wanted to thank Marc and the Squishable people so much for this contest! I hope one day we can all buy tons of Kuramon plushes and build ourselves an Armagemon. Congrats, that was a pretty awesome entry you did there, CloneWarrior! xD Hope you enjoy the prize! Tanemon has arrived and my little sister has immediately spirited it away to her collection of adorable plushies. She is very happy, so once again thank you Marc for this great contest!